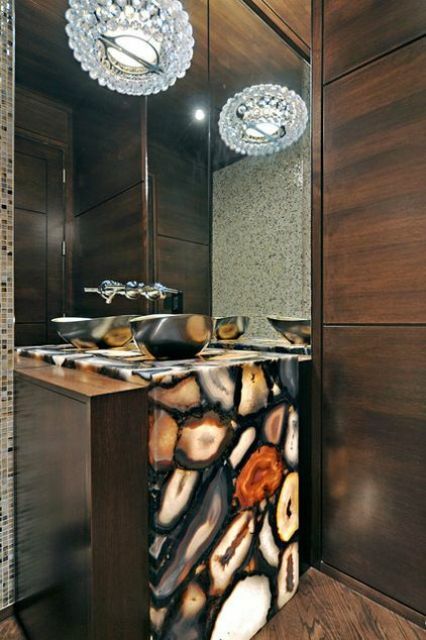 Agates and geodes are extremely popular for decor, they bring an edgy feel to the space. 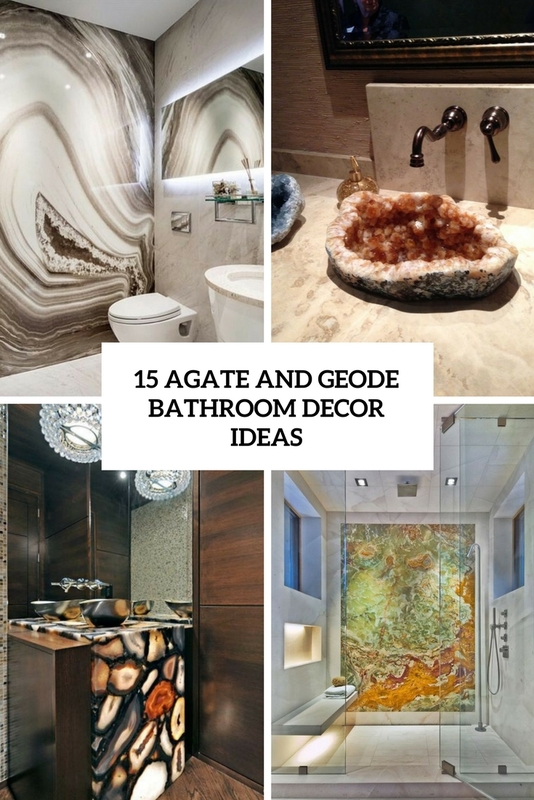 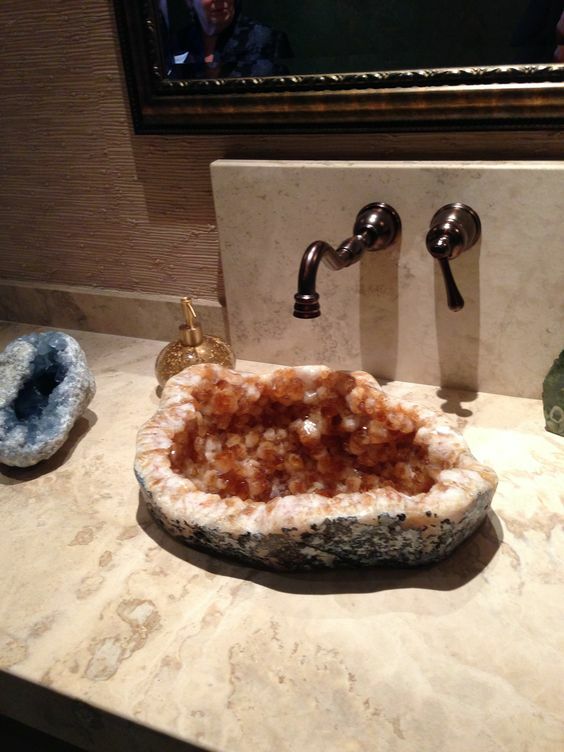 We’ve already shared some ideas to incorporate geodes and agates into kitchen decor, and today I’ll show you how to turn your bathroom into a trendy space with some gemstones, agates and geodes, let’s get started. 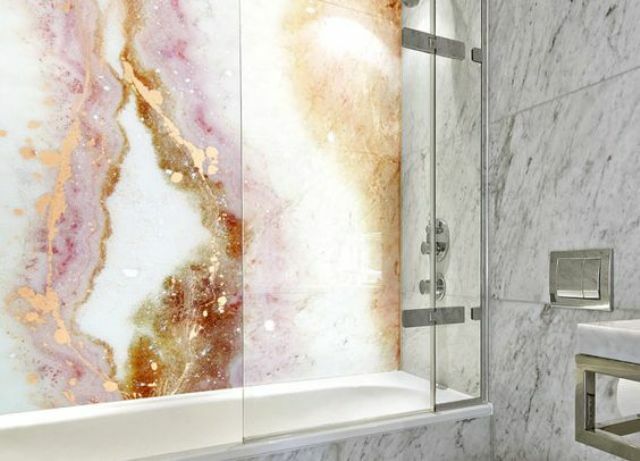 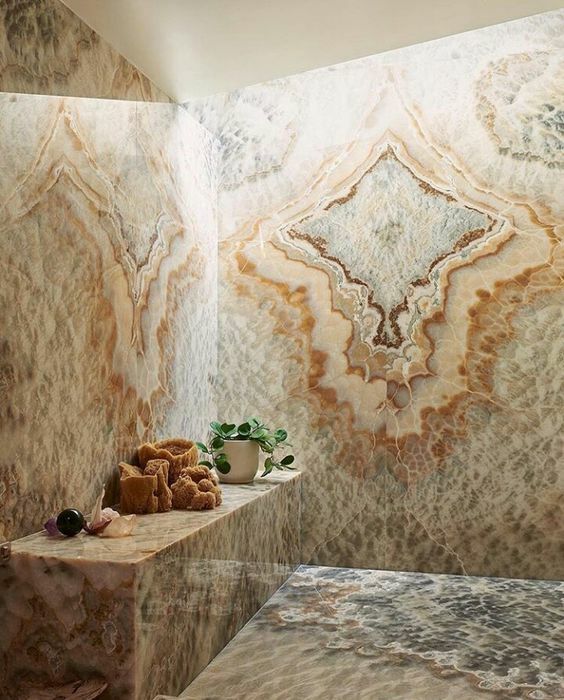 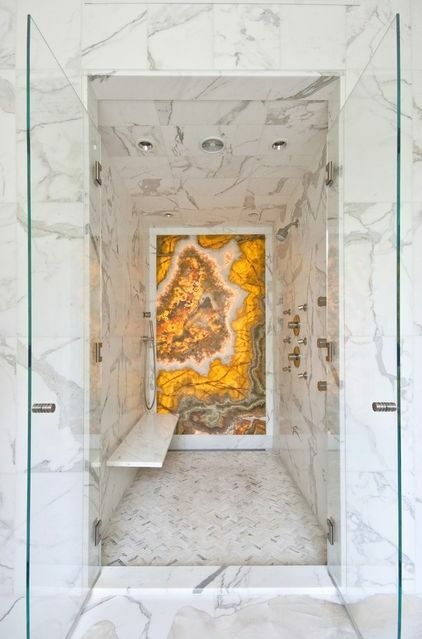 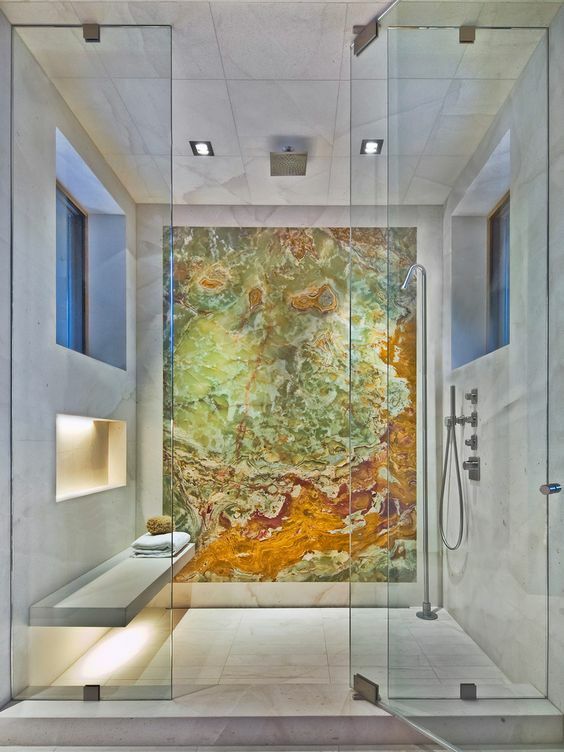 Make your bathroom super eye-catching with agates: add an agate accent wall to the shower or just bathroom for a trendy feel. 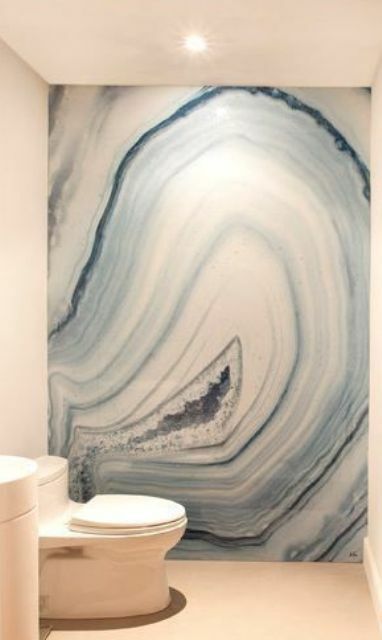 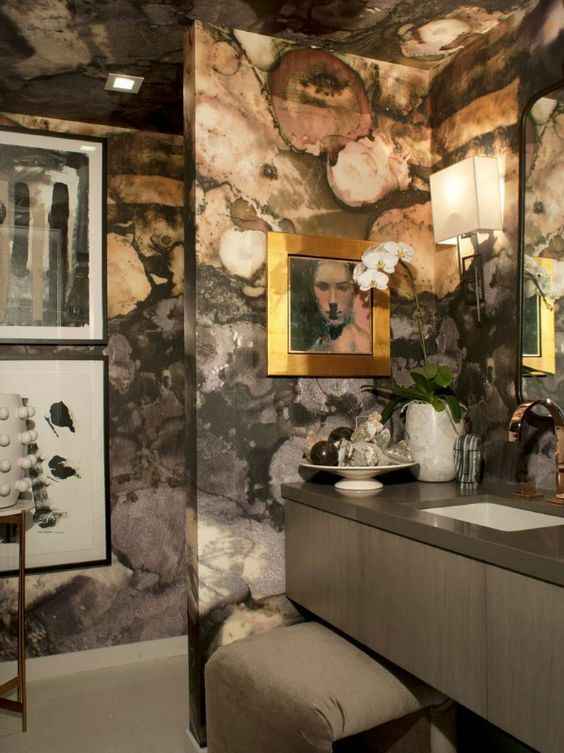 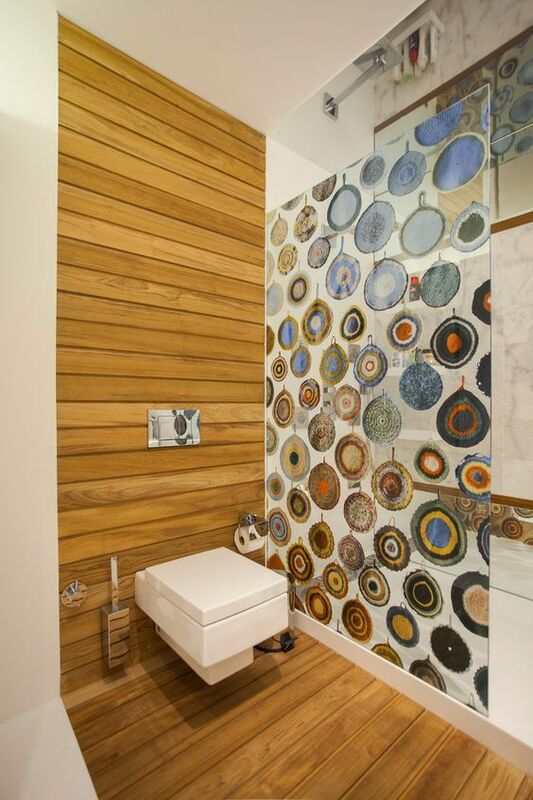 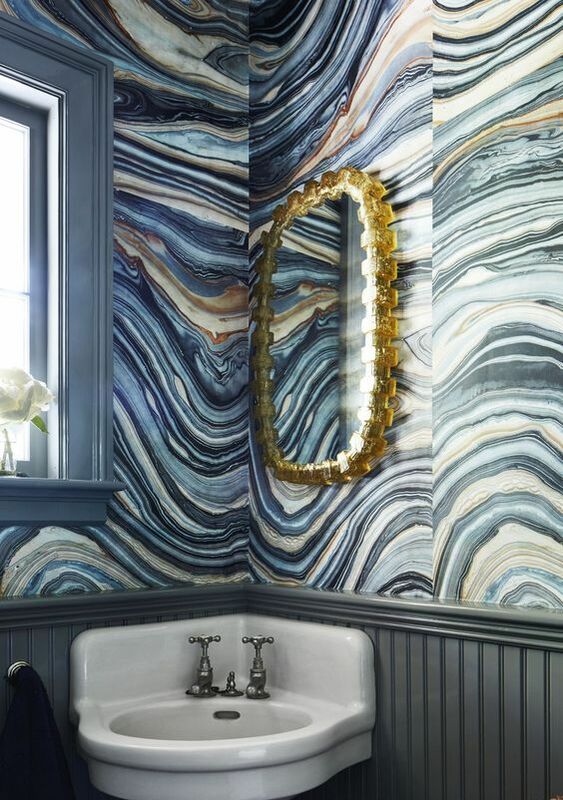 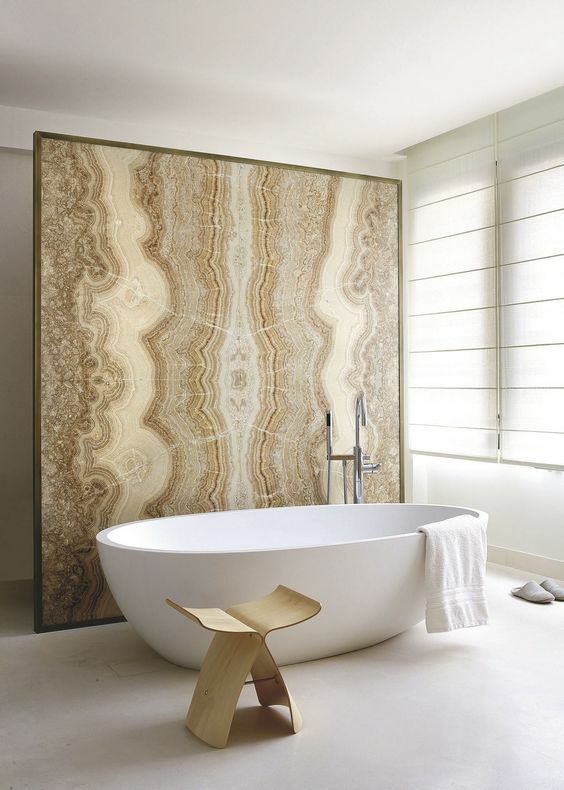 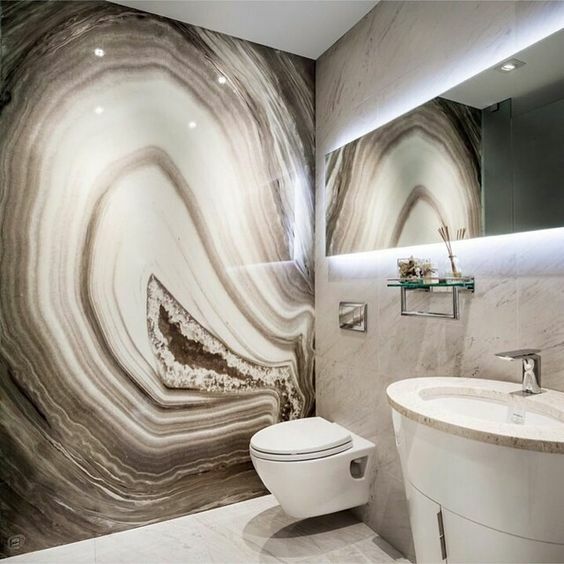 It can be an agate or faux agate wall of a contrasting color for a bold look – it will make your bathroom refined. 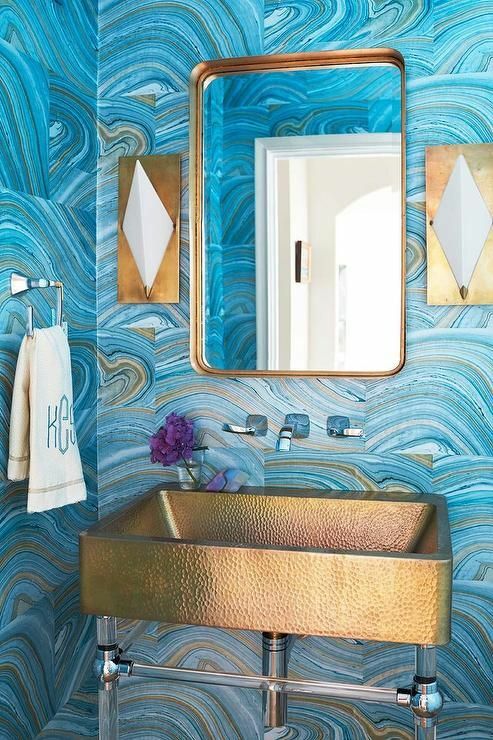 A more budget-friendly idea is agate-printed wallpaper, which is ideal for a powder room – it comes in all kinds of looks and colors, so you’ll easily find a proper option. 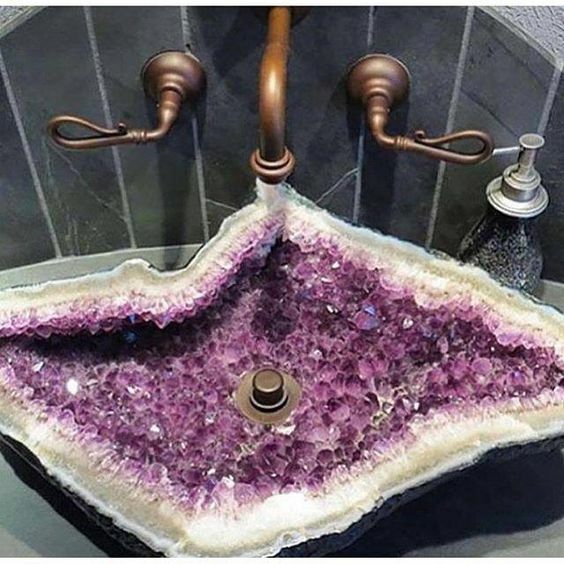 Go for a gorgeous geode or gemstone sink and add a modern glam or vintage faucet – and your bathroom will become unforgettable! 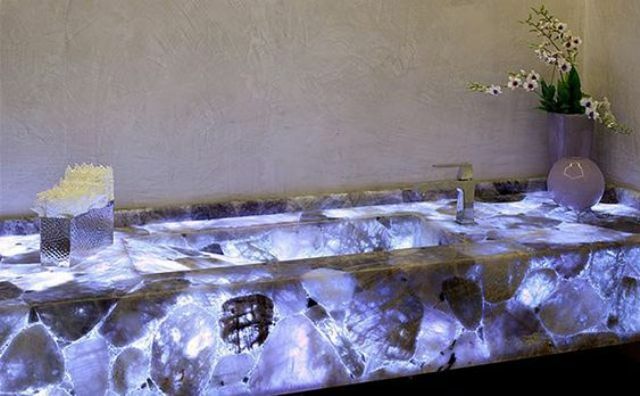 Or make an agate clad sink stand with light coming from the inside, it’s a great idea for producing a wow effect in the bathroom.